A typical canal in Castello. During the time of the Venetian Republic the castelàni were mostly working class. Many of them worked as shipbuilders at the Arsenal which is located in the castèlo district. There was a traditional rivalry with them and the parishioners of San Nicolò dei Mendicoli, known as nicolòti, another working class area on the opposite side of the city. The nicolòti were mostly fishermen. The men from castèlo wore red caps in public whilst the nicolòti wore black ones. The rivalry between these two groups became ritualized into two spectacles organized as part of the Venetian carnival. The first was the guerra dei pugni (the war of fists) in which men from each faction ran up the opposite sides of the ponte dei pugni near Campo San Barnaba, fought, and tried to throw each other in the canal. A similar event was carried out with sticks on the ponte di Santa Fosca. For the purposes of these games inhabitants from other parts of the city were included into castelàni and nicolòti fans. Castello is the largest of the six sestieri and according to tradition one of the first areas of the city inhabited. The first part to be settled was a small island known as Olivolo, perhaps because it is shaped like an olive, which today hosts the basilica of San Pietro di Castello. In medieval times, there was a bishop of Olivolo and San Pietro eventually became the seat of the Patriarch of Venice. 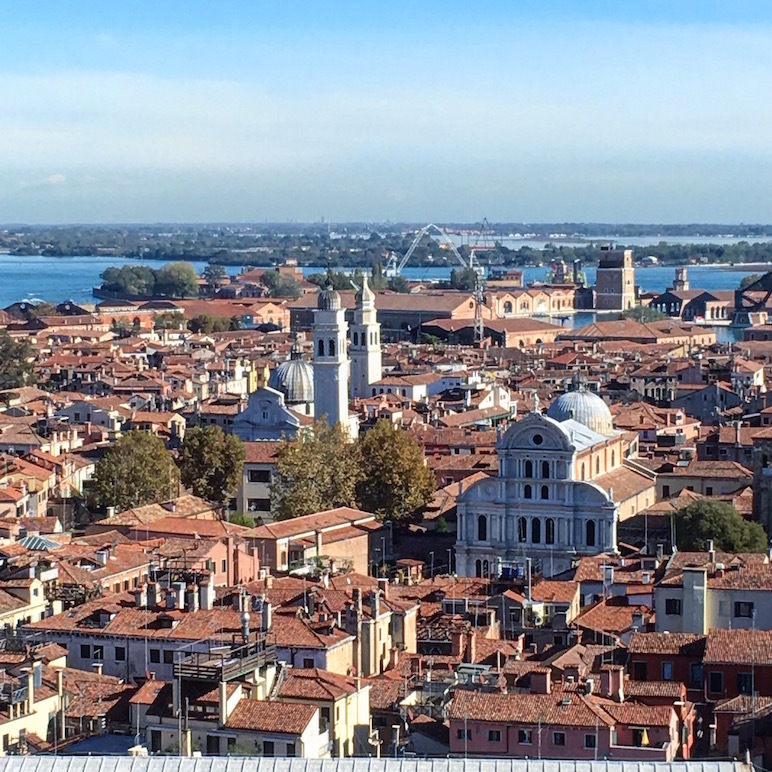 It was the Catholic cathedral of the city during the time of the republic an honour that was transferred to the state basilica of San Marco in 1807. Near the basilica was a small fortress from which the name of the sestiere derives. The basilica of San Pietro di Castello. Apart from the monumental San Pietro di Castello there are many other churches in the sestiere. The most important of them are San Francesco de la Vigna, with a facade by Andrea Palladio; San Zaccaria, once the most important nunnery in Venice with a facade by Mauro Codussi and which hosts the body of San Zaccaria, the father of John the Baptist; the Chiesa della Pietà, where Antonio Vivaldi worked and performed his music; Santa Maria Formosa, the oldest church dedicated to the Virgin Mary in the city; San Martin, the centre of a traditional hallowe’en like festival in November; San Giovanni in Bragora, my favourite church; the basilica of Santi Giovanni e Paolo (San Zanipolo) which used to host the funeral of the doge and where many of them are buried; and San Giorgio dei Greci, for centuries the Greek orthodox church in Venice. The campo and church of Santa Maria Formosa. The church of San Zaccaria. Castello is dominated by the arsenale, the huge building that was once the main shipyard of the city and the source of Venice’s sea power. It was founded by Doge Ordelafo Falier in about 1104 and was soon the largest industrial site in Europe. So impressive was it that the poet Dante mentioned it in his Inferno. At its height, the arsenal was able to produce a ship a day so efficient were its production lines. After Italian unification the arsenal became a naval base. Today it forms part of the exhibition space for the Biennale. The Scuola Grande di San Marco, now Venice hospital, is in Castello. So are the Prigioni Nuove, next to the Palazzo Ducale and half of the Bridge of Sighs which links the two. The Hotel Danieli, one of the most famous luxury hotels in the world, is also in the sestiere. The magnificent Querini-Stampalia museum and Palazzo Grimani are also in the district. It’s the home of the main pavilions of the Venice Biennale too. The facades of the Scuola Grande di San Marco and the church of San Zanipolo. Castello on the left; San Marco on the right. Sebastian Chabotto (Sebastian Cabot) c. 1450–1501. An explorer whose father Zuan (John) captained the ship Matthew in the 1497 mission, funded by King Henry VII of England, which discovered Newfoundland, the first English possession in North America. Pietro Barbo 1417–1471. A cardinal who became elected Pope Paul II in 1464. He built the Palazzo Barbo (now Palazzo Venezia) in Rome which later became the embassy of the Venetian Republic in that city. Sebastian Venier 1496–1578. Commander of the Venetian fleet at the battle of Lepanto. His personal popularity as a hero of the battle led to his election as doge in 1571. He is said to have died of grief after a fire swept the Doge’s Palace in 1577 destroying priceless works of art. Veronica Franco 1545–1591. Famous courtesan and poetess, whose life is documented in the Hollywood film, Dangerous Beauty. A directory of courtesans from 1565 lists her address as Santa Maria Formosa. Antoni Vivaldi 1678–1741. The composer of The Four Seasons. Need I say more? Attilio (1811–1844) and Emilio Bandiera (1819–1844). Italian patriots and heroes of the risorgimento. Their home square of Campo della Bragora is officially named after them and their fellow patriot Domenico Moro. Alvise Marangon (18th century). A fictional character who is the hero of two novels by Gregory Dowling, Ascension and The Four Horsemen. These novels are highly recommended for anyone who loves Venice. What’s your favourite part of Castello?